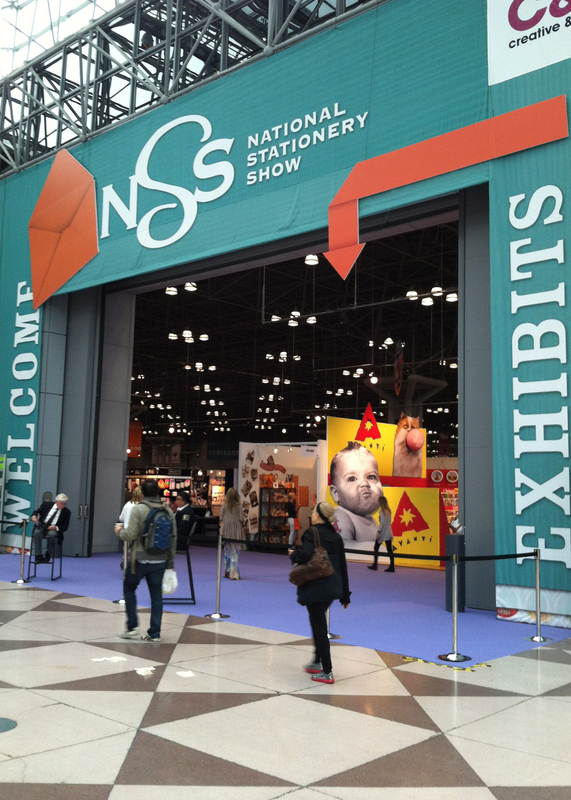 We are excited to report that The Paper Vault attended the National Stationery Show in NYC! We had absolutely no idea what to expect walking into the show as first-timers, but we were instantly blown away by all of the creativity and inspiration that filled the Javits Center. To say that this show was an amazing experience would be a total understatement. Upon arrival at the Javits Center on the first day, we decided that we needed some caffeine before making our way into the show (plus, due to our excitement for being there, we arrived a good 40 minutes early and the show wasn’t open yet!). 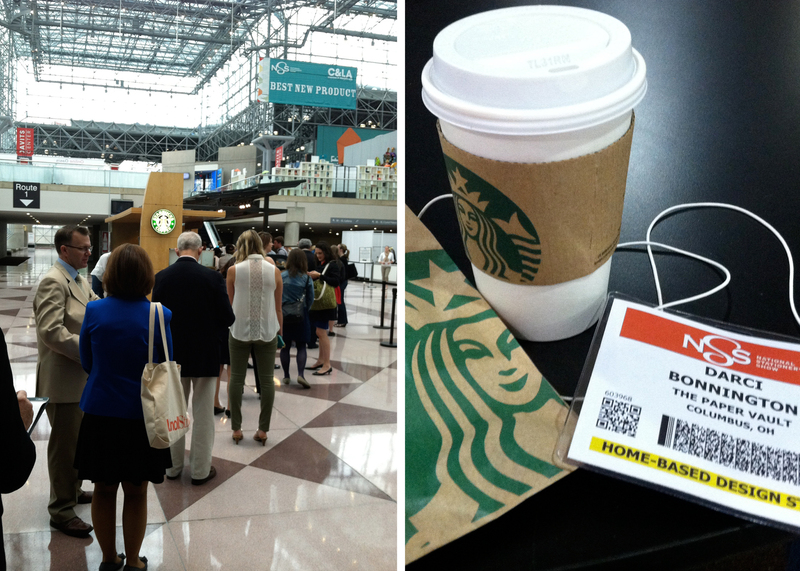 It didn’t take long at all to find a Starbucks, which was conveniently located on the lower level of Javits… perfect! 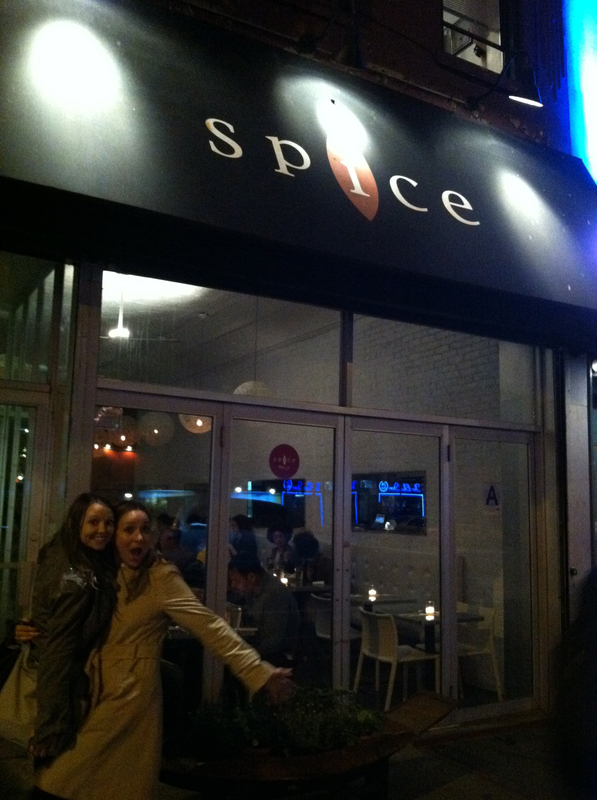 What did take long was the line, but it was well worth the wait (especially since we had some time to kill!) and before we knew it, we were ready for the show with tall caramel macchiatos and blueberry scones in hand! The entire exhibit was made of up “streets” lined with decorated booths displaying new designs and products. 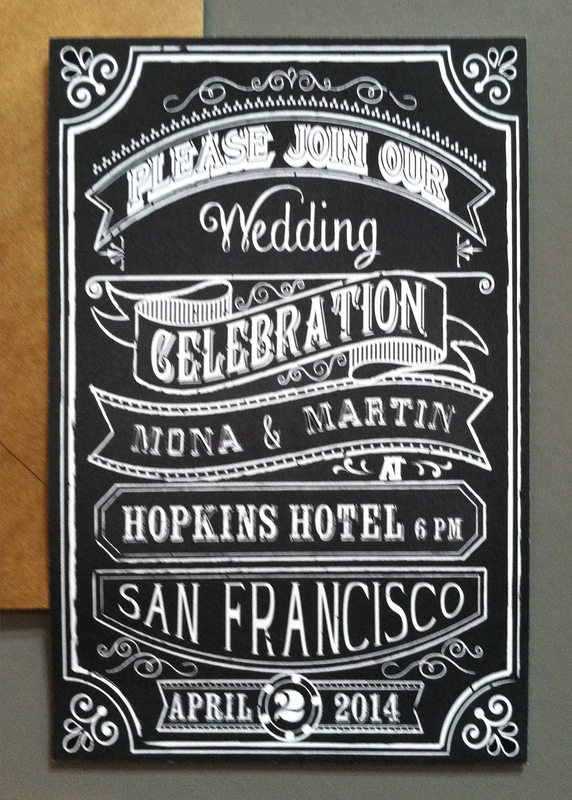 Letterpress printing definitely had a huge presence at the show, showing up in all categories ranging from formal wedding invitations to more casual social stationery. 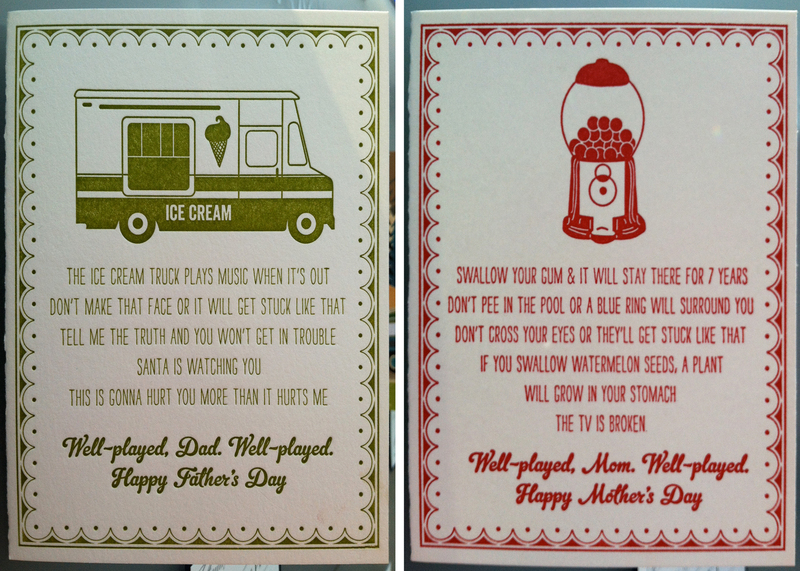 These letterpressed Mother’s Day and Father’s Day cards made us laugh out loud when we read them, so we had to share! We also love the dramatic look white printing has on colored grounds, which was one of the hottest trends at the show. It was a fun, jam-packed three and half days and we already can’t wait for next year’s show! We met a lot of great people and 15 new albums (including a variety of invitations, announcements, social stationery and party accessories) are on their way to The Paper Vault studio as we speak. And, of course, no visit to New York is complete without catching up with close friends over dinner at our favorite Thai restaurant.